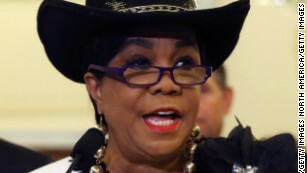 After President Donald Trump repeatedly referred to her as a “wacky Congresswoman,” Rep. Frederica Wilson fired back on Sunday morning, saying that the ambush in Niger that left four US soldiers dead “is (Trump’s) Benghazi” and demanding an apology to “the nation” from White House chief of staff John Kelly. “Niger is @realDonaldTrump’s Benghazi. He needs to own it,” the Florida Democrat tweeted. Wilson and Trump have traded barbs for nearly a week on the controversy stemming from the President’s condolence call to Myeshia Johnson, the widow of Sgt. 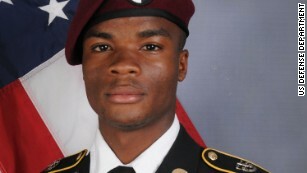 La David Johnson, one of the soldiers killed in the ambush in Niger earlier this month. Wilson, who is close to Johnson’s family and was in the car when Trump’s call came, claimed that Trump said Johnson “knew what he signed up for, but I guess it still hurts.” The family member who raised Johnson called Wilson’s account of the call “very accurate,” and the White House has not refuted that Trump spoke those words. Trump said in an interview with Fox Business that he was “very surprised” to hear Wilson’s account of the call, insisting the call was “a very nice call.” He also said he mentioned Johnson’s name during the phone conversation, which Wilson said he did not appear to remember during the call. It is not the first time that Wilson has evoked the 2012 attack on a US diplomatic facility in Benghazi, Libya, that left four Americans dead. It led to years-long inquiries into the circumstances of the attack and whether the State Department, under Secretary of State Hillary Clinton, bore any blame for what had occurred. Sen. James Lankford, a Republican on the Senate intelligence committee, said Sunday on CBS’s “Face the Nation” that Congress wants a “full, accurate story” on what happened to Johnson and the rest of the soldiers involved in the incident in Niger. The Oklahoma senator said he joins Sen. John McCain, R-Arizona, in his frustrations over a lack of details about the incident. Sgt. 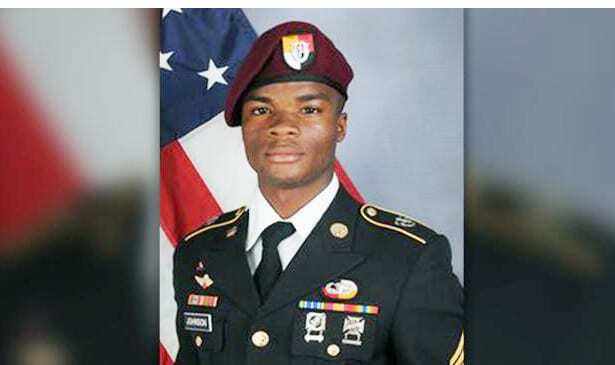 Johnson was found nearly a mile away from the central scene of the ambush in Niger, four administration officials familiar with the early assessment of what happened told CNN on Friday. The Pentagon is still looking at the exact circumstances of how and when Johnson became separated from the 12-member team as they were ambushed by 50 ISIS fighters. The FBI is assisting in the investigation of the ambush. Wilson called for an apology from Kelly, whom she says “lied to the American public” in criticizing her in remarks at the White House last week. 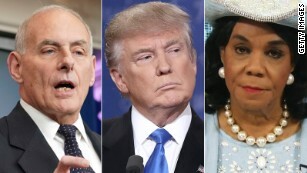 At a White House press briefing on Thursday, Kelly claimed Wilson had boasted of securing “$20 million” in federal funding to build a new FBI field office in Miami during the dedication ceremony for the building in 2015; he called the congresswoman an “empty barrel,” saying her remarks focused more on her own actions than the heroism of the two FBI agents for whom the new building had been named. But video of the building dedication ceremony posted Friday by the Sun Sentinel instead shows Wilson taking credit not for funding the building, but for shepherding legislation to name it. The video also shows the congresswoman spending a considerable portion of her remarks praising the valor of law enforcement and retelling the story of the two slain FBI agents. “General Kelly owes the nation an apology because when he lied about me, he lied to the American public,” she tweeted Sunday. The women of the Congressional Black Caucus also called for Kelly to apologize to Wilson over his remarks last week. The White House did not directly respond to the video that contradicts the chief of staff’s claims, and instead repeated Kelly’s criticism of Wilson as “an empty barrel.” The White House did not immediately reply to a request for comment on Wilson’s latest tweets.